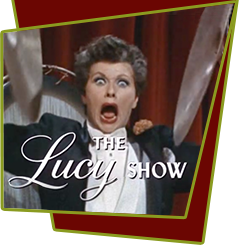 Lucy and Viv travel to Virginia to convince media veteran Arthur Godfrey ("The Old Redhead") to appear in Danfield's town founders' theater play. Godfrey agrees, and the ladies, Mooney, and Godfrey do the show. The musical is about the founding of Danfield, a Southerner hopes his daughter Lucybelle can snag a rich Yankee and save their plantation. She gets unwanted competition from the short-skirted Steamboat Bessie. Special Notes: Arthur Godfrey had been a huge television star in the 1950s, but by this time was semi-retired. He was a very influential entertainer and celebrity who made or ended many entertainers careers. His arrogance, combined with rumors of strong anti-semitism, had made him almost non-existent in show business by this time. Lucile Ball didn't care. She liked him, and thought that his work was solid, and that it was being ignored.